Near Eastern archaeology is generally represented as a succession of empires with little attention paid to the individuals, labelled as terrorists at the time, that brought them down. Their stories, when viewed against the backdrop of current violent extremism in the Middle East, can provide a unique long-term perspective. Extremism, Ancient and Modern brings long-forgotten pasts to bear on the narratives of radical groups today, recognizing the historical bases and specific cultural contexts for their highly charged ideologies. The author, with expertise in Middle Eastern archaeology and counter-terrorism work, provides a unique viewpoint on a relatively under-researched subject. 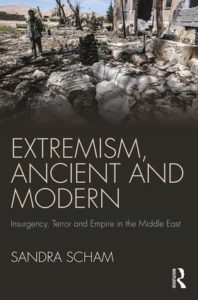 This timely volume will interest a wide readership, from undergraduate and graduate students of archaeology, history and politics, to a general audience with an interest in the deep historical narratives of extremism and their impact on today’s political climate.